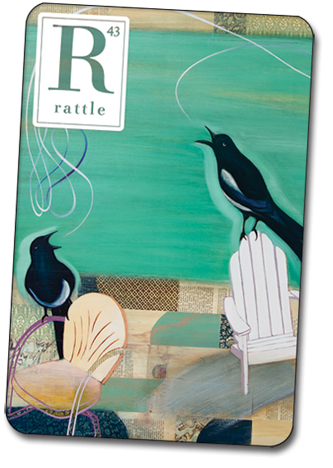 The Nature of Words issued a call for submissions for its 2014 Rising Star Creative Writing Competition to writers in Oregon, Washington and Idaho. The deadline is June 1, 2014. The competition is open to commercially unpublished writers in three genres, Fiction, Creative Nonfiction and Poetry, and three age categories, 15-18, 19-25 and 25+. Winners receive a cash prize, are invited to an awards ceremony in Bend, and are featured in The Nature of Words’ annual anthology. Submissions are judged by a panel of professional writers. This year’s panel includes Fiction judge Chantal Strobel, Community Relations and Development Manager for the Deschutes Public Library; Creative Nonfiction judge David Jasper, journalist for The Bulletin; and Poetry judge, Dr. Emily Carr, director of the Low-Residency MFA at OSU-Cascades. Last year, one of our alumni, Evan Gabriel from the class of 2013 won one of these prizes! 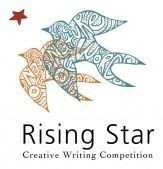 To learn more about submitting work to the Rising Star Creative Writing Competition, visit www.thenatureofwords.submittable.com/submit. The Sejong Cultural Society is collaborating with Harvard University, Korea Institute to introduce young adults to Korean culture through a writing contest. All American and Canadian residents under 25 are welcome to apply, regardless of racial or ethnic background. 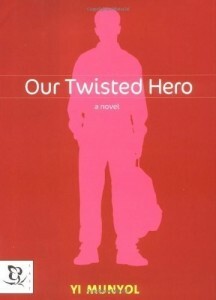 Young adult topic: Compare and contrast an aspect of Our Twisted Hero to another artistic work, event- current or historical- or any other subject matter of your choice. Winning entries may be published in the Korea Times Chicago, the Korean Quarterly, and Azalea: A Journal of Korean Literature and Culture, published by the Korea Institute at Harvard University. Winners of the young adult topic may win up to $1000. All entries must be written in English and submitted online by midnight, January 31, 2014. Click here to see the full list of guidelines and rules. Attention all Pilots! The Narrative 30 Below Contest is offering up to $1500 and is open to all artists including writers, photographers, filmmakers, and performers. Ten finalists will be given $100 prizes aside from those winning first, second, or third places. All entries are eligible for the Narrative Prize as well as a feature on 30 Below’s story or poem of the week. Information and guidelines are available on their website. 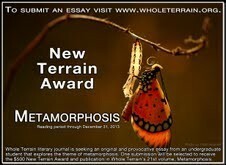 For writers: this year, Whole Terrain is offering undergraduate writers a chance to have their work published and win $500 with the New Terrain Award. Whole Terrain is Antioch University’s journal of environmental practice; this year’s theme is “Metamorphosis.” Submissions are being accepted now. Details can be found on their website. For those of you interested in contests and competitions, The Albion Review is now accepting 2013-2014 submissions. The Albion Review is a literary journal from Michigan featuring undergraduate students’ art such as fiction, poetry, and essays. $200 in prizes is available to the featured undergraduates. The deadline is November 1, 2013. Requirements include: students must be undergraduates, the work submitted must be unpublished, and no simultaneous submissions will be accepted. All work must be submitted in Times New Roman font, size 12. Visit Albion’s submissions page for more guidelines and information. E-mail your submissions with a cover letter to review@albion.edu or mail your work to 4942 Kellogg Center, Albion College, Albion MI 49224. Don’t forget your cover letter or submission form; they can be found at the bottom of the submissions page. Good luck! 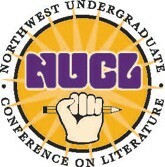 Each year the English Department holds its largest event: the Northwest Undergraduate Conference on Literature, popularly known as NUCL (like on your finger). Although the English Department’s own Dr. Cara Hersh and Dr. Sarah Weiger spearhead the event, NUCL depends annually on student interns who help make this day happen. This year, the NUCL interns are Tom Bluth (you may have seen him in UP Senate), JoAnna Langberg (the tech-savvy one of the group), and Cerice Keller (me, your reporter). What exactly is this event, some of you may ask? It provides undergraduate students throughout the Northwest with an opportunity to present their personal essays, poetry, or critical essays at conference sessions in front of their peers. This year, NUCL’s tenth since it began as the brain-child of Dr. Herman Asarnow, we received a record-breaking 123 submissions, from as far away as Colorado and a few from local high-school students. NUCL provides a unique opportunity for undergrads, considering that academic conferences are typically reserved for graduate students and beyond (think about your professors and the scholars whose essays you have to read for your research papers). Students who are selected for the conference come, read their written pieces during their designated time (one of three sessions: morning, midmorning, and afternoon), and are free the rest of the day to attend other sessions. Each session features six to seven panels broken up by topic (like “Poetry” or “Gender Norms in Literature”). After each student in the panel has read his or her paper, the audience is free to ask questions and, ideally, start a rousing discussion on the panel’s topic. So, while NUCL allows students to share their work, it also allows them to engage in critical conversations provoked by their work. Experience in a pre-professional conference, another accomplishment to highlight on a resume, and general appreciation for students’ written work? Why yes, all is included in a student’s participation in NUCL. 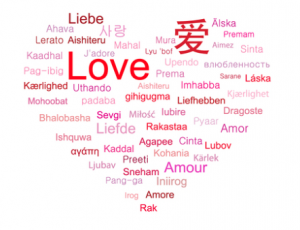 Oregon Women’s Report (one of Oregon’s largest online women’s magazines) is hosting their second annual Valentine’s Day writing contest with three $50.00 cash prizes for the three top winners. The contest theme is “love” and covers a wide spectrum of ideas from family, kids, relationships, advice, romance to friendships. Articles can be about life lessons, memorable family moments, acts of kindness, friendship, calls to community service and other love related topics. Original or previous written material is accepted. Poetry is also accepted. 3 Prizes: $50, $35 & $25. Word Count Limit: Under 400 words (suggested). Requirements: Author must live in Oregon. Submit Articles: You can submit article either (1) inside an email or (2) attach as either Word, TXT or Rich Text Format. Email to Oregon@oregonreport.com with subject line “Valentine’s Writing Contest”. Please fill & email the application below. 9. How did you discover the contest? 11. Are you a student applying for the student prize? 1. All contest submissions must be typed in 12-point, Times New Roman font. Story size is 700 words maximum. Type your name, address, and e-mail on the top corner of the first page in your manuscript. Submissions must be written in English. Any genre is allowed; however, we do not accept novel excerpts. 2. Simultaneous submissions are welcome, but there will be no refund on the entry fee if your story is accepted elsewhere. If your story is accepted in another publication/contest, we ask that you e- mail us immediately regarding its status. 3. Previously published stories are not permitted. 4. Stories must be the work of entrant only. Do not submit for someone else. National Novel Writing Month (also known as NaNoWriMo) is an annual, internet-based creative writing project which challenges participants to write 50,000 words of a new novel between November 1 and 30. Our own English Society will participate in this competition by writing a novel as a group rather than individually. This means that one person will start the novel and the next person on the list will take up where the first left off, and so on and so forth. 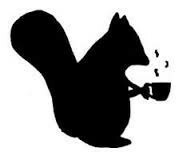 A genre and subject will be decided by a vote (http://theenglishsociety.wordpress.com/nanowrimo/have-your-say/), and come November 1st the writing process will begin! If you would like more details about how the writing process will work, how to sign up, or how to become involved in other aspects of NaNoWriMo please visit The Society’s blog (http://theenglishsociety.wordpress.com/), the English Society Facebook page (https://www.facebook.com/UniversityofPortlandEnglishSociety), or visit Mackenzie Parker in Kenna Hall 137. The Elie Wiesel Prize in Ethics Essay Contest 2013 is accepting online submissions now through December 3rd. Students are encouraged to write an essay that discusses ethical issues and how to confront them. Any fulltime, undergraduate Junior or Senior can participate. Suggested Topic: Articulate with clarity an ethical issue that you have encountered and analyze what it has taught you about ethics and yourself. Winning students are also eligible for an internship and a chance for their essay to be published.